Can our skin smell? I don’t mean whether your skin smells, I meant if your skin is able to smell. Apparently, yes. Came across a few studies supporting that and though medical advancements using the skin’s ability to smell are far off, it’s amazing to learn how God designed our body! Keratinocytes, of our skin’s epidermal layer, reacted to a chemical odorant of sandalwood to re-generate in wound healing. Olfactory receptors (that allow us to smell) are also present in our skin and over 20 types of tissue cells, including liver, lungs, prostrate and gut. Olfactory receptors found in the testicles may be helping the sperm smell its way to the unfertilized egg. Olfactory receptors in the lungs also help the lungs to switch off airways to limit inhaling poisonous gas. 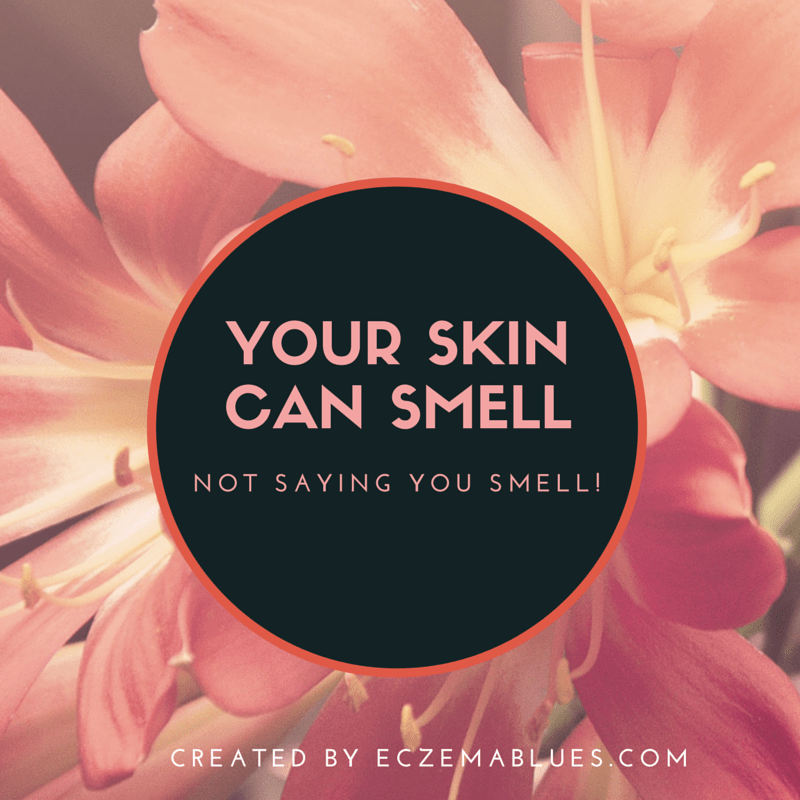 The skin being the largest organ of our body truly comes into contact with a lot of our environment. Even in food allergy, it is no longer new to recognize that food sensitization (allergy) can come from our skin. In fact, studies support this hypothesis and it is increasingly recognised that we should take care of our skin, strengthen its barrier to protect our body. The next time you itch for a scratch, think about how a defective skin barrier goes beyond a scar. Eczema ‘Cure’ Series – Does the type of Water Matter?